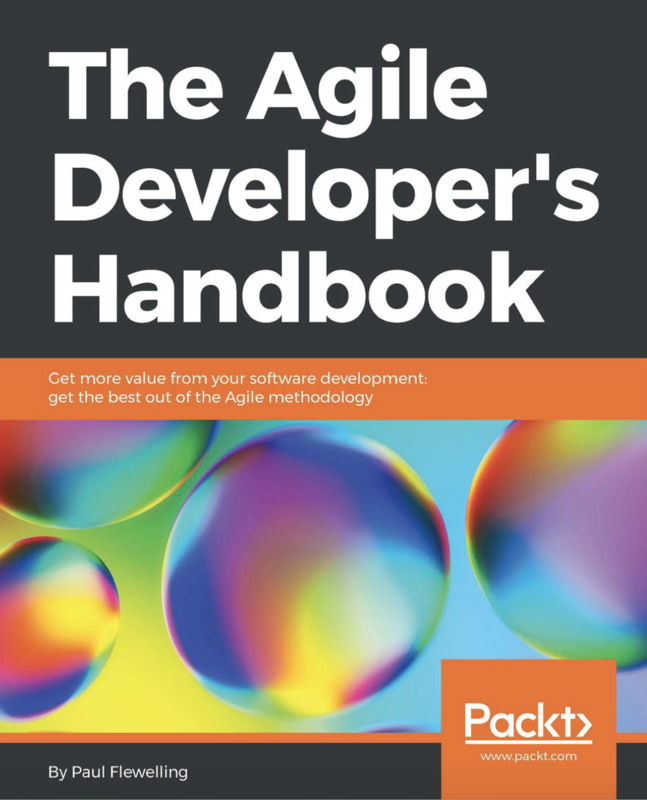 After many thousands of work units, measured in cups of tea and coffee drunk, I present The Agile Developer’s Handbook. A playbook which gives a team everything it needs to get off the ground with Agile and Lean thinking. It can be purchased here direct from the publisher and at any of the reputable online bookstores. The preface gives a glimpse of what it’s all about, hope you enjoy! Agile thinking has caused a fundamental shift in how we deliver software. The aim of this book is to offer the reader a pragmatic, easy-to-follow approach to mastering this transformative way of working. It’s roughly divided into three sections to reflect the three stages of adoption—beginner, intermediate, and master. In the first few chapters, we’ll look at the origins of the Agile movement and review the fundamentals. We then get straight into the practical guide, teaching you how to set up your Agile approach through a series of activities and pragmatic examples. Each key concept has an accompanying exercise for you to practice and learn the thinking behind it. After we’ve laid the ground rules and taught the basic techniques, the second half of the book will look at how we can start to expand our understanding. It takes what we’ve learned and applies slightly different perspectives, such as Lean and Lean Startup thinking. You’ll start to see how you can shape or bend the rules to get much more from your Agile practice. In the final three chapters, we look at some possibilities regarding technical practices, team dynamics, and organisational changes. Here, the intention is to show you where some teams are now. And although some of these may seem distant from where you are on your particular journey, the aim is to show where you may be heading and to inspire you to keep taking the next step. Agile is a mindset, something we can only achieve by going on the journey ourselves. The hope is that this book will put you on the path to becoming a truly Agile thinker.